Brexit: What does it mean for travelers and air passenger rights? It was an historic day in European history last week when the UK voted to leave the EU. But, with the summer holidays right around the corner, Brits traveling abroad may find themselves scratching their heads and wondering if they will still be protected by EC261 air passengers rights laws. 1. Am I still entitled to compensation for a delayed flight leaving from or going to the UK? Although the UK has voted to leave the EU, it will take at least two years for this change to officially become effective. So for now, if you are flying into or out of the the UK, regardless of the airline, then you are still protected under EC261 air passengers rights laws. If you need further assurance, you can always check the eligibility of your flight by using our easy online claim form. 2. 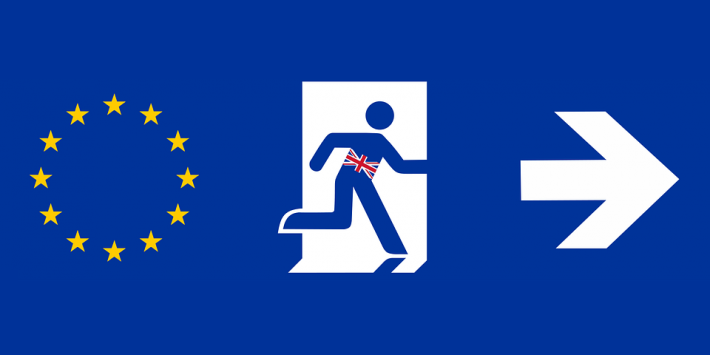 What will happen when the UK does leave the EU? Only time can tell what is in store for the UK and EU once the Brexit becomes official. As with many other EU laws, members of the UK government will determine if it would like to keep EC261 on the books or if it would rather adapt a new UK law that mirrors EC261. These decisions will depend on how the UK government will choose to negotiate the terms of its new relationship with the EU. 3. What will happen to my passenger rights after the official Brexit? It’s hard to know exactly what will happen once the UK officially leaves the EU. While we can’t speculate on what’s to come, we can tell you that you will still have some level of protection under EC261 even if the UK government disposes of the law. For those passengers traveling into or out of the UK on an EU-based airline – like Ryanair, Air France, KLM, Lufthansa, Alitalia, etc. – then by law you will still be covered by EC261. According to the law, if you are flying into or out of a non-EU country with an EU airline, then you are still entitled to compensation if your flight is delayed, canceled or overbooked by the airline. For more information about your specific passengers rights check out our Know Your Rights guideline. While the Brexit raises many questions for Brits going abroad and for Europeans traveling to the UK, it’s safe to say that for the time being, there is no need to worry about the loss of air passenger rights in the UK. For those of you traveling into or out of the UK this summer, keep in mind that it’s best to educate yourself on your passenger rights before you travel, so that in the event your flight is delayed or canceled you are fully aware of your options. If you’d like to know more about your rights, the AirHelp customer support team is available to answer any questions, so feel free to email or chat live with us anytime. Pro tip – Check out our top tips on what to do if your flight is not eligible for compensation under EC261!